Dear Readers, two weeks isn’t very long, but how things can change! 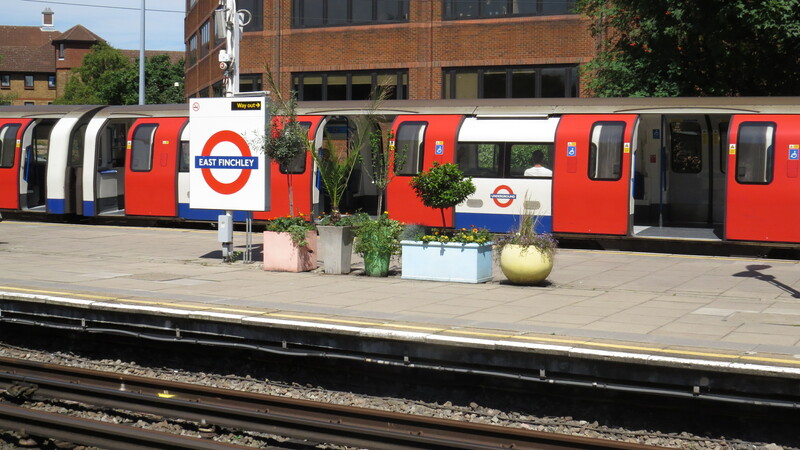 As I stagger off the train after my fortnight in Austria, laden down with sweaty laundry and in need of a cup of tea and a cuddle with the cat, my mood is much brightened by how splendid East Finchley station is looking. 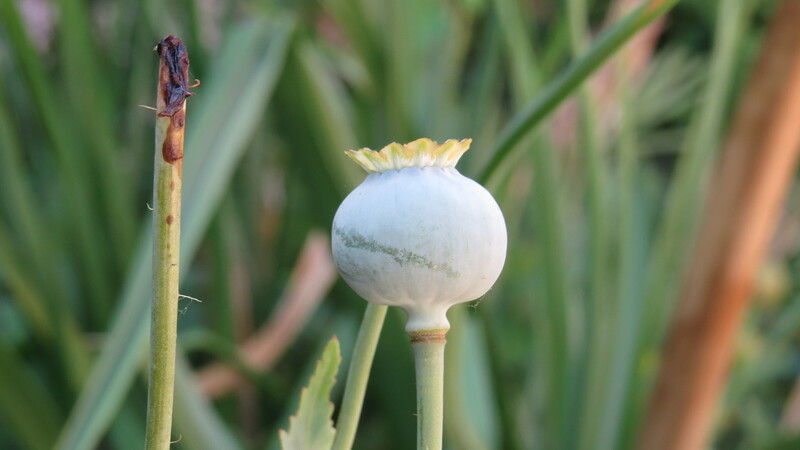 I suspect that those good folk at the N2 Community Garden have been hard at work. 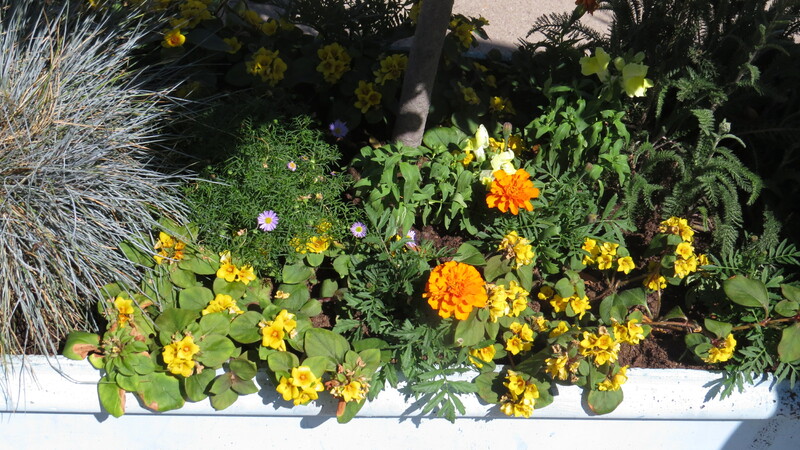 A range of containers in pastel colours are chock-full of plants and buzzing with bees. And there is even more fun to be had once you’re through the ticket barriers. 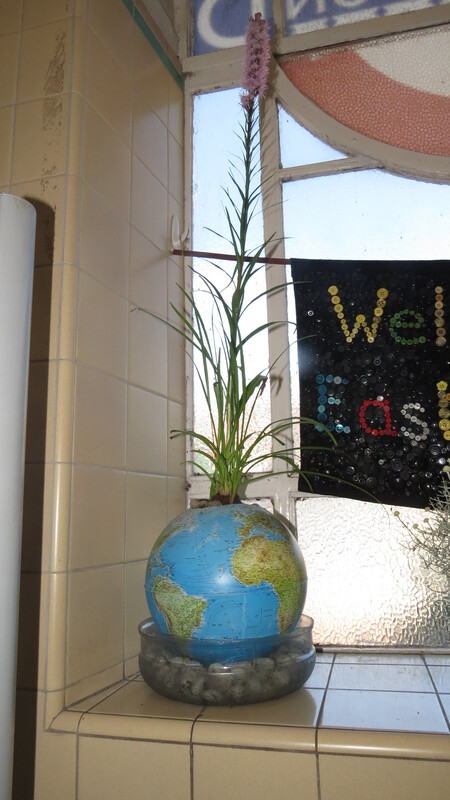 The banner is made of buttons, and I love the upcycling of the boots and the globe. 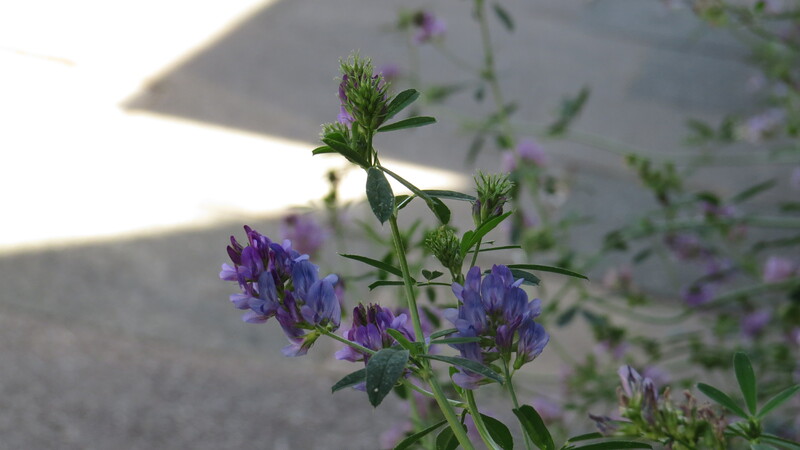 It goes to show that, with a bit of imagination, many things can be transformed from useless to useful. Well, once the laundry was on and the tea was drunk and the cat was cuddled, I headed off to see what else was going on. 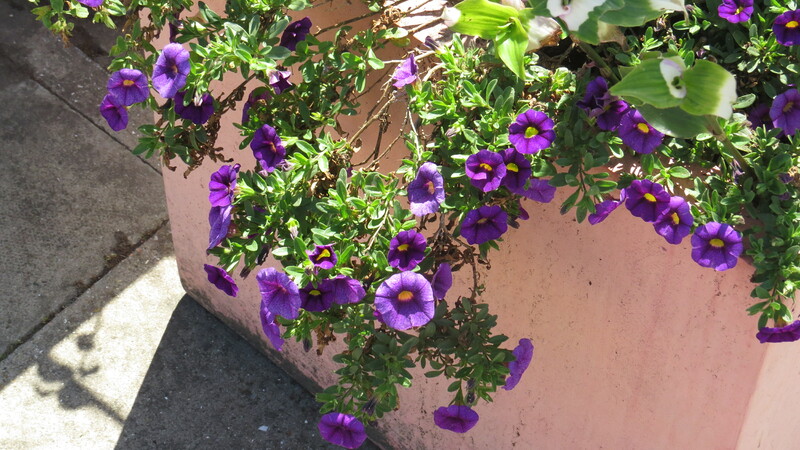 The little garden beside the station was looking particularly splendid. 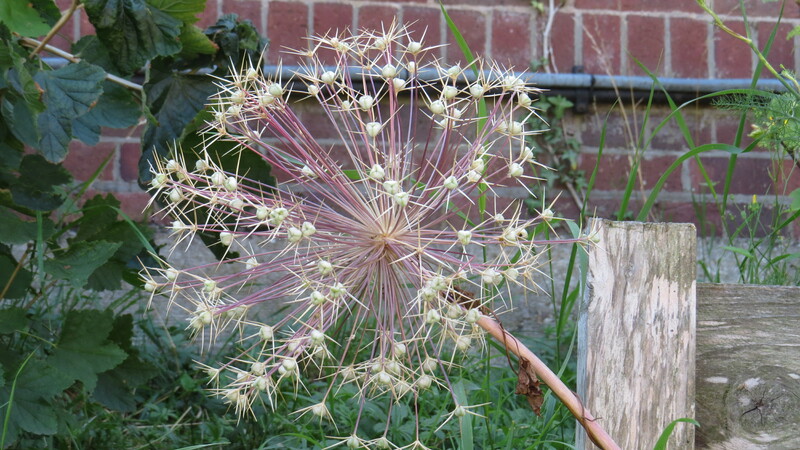 I adore the seedheads on the alliums, they remind me of a firework display, but without all those annoying bangs. 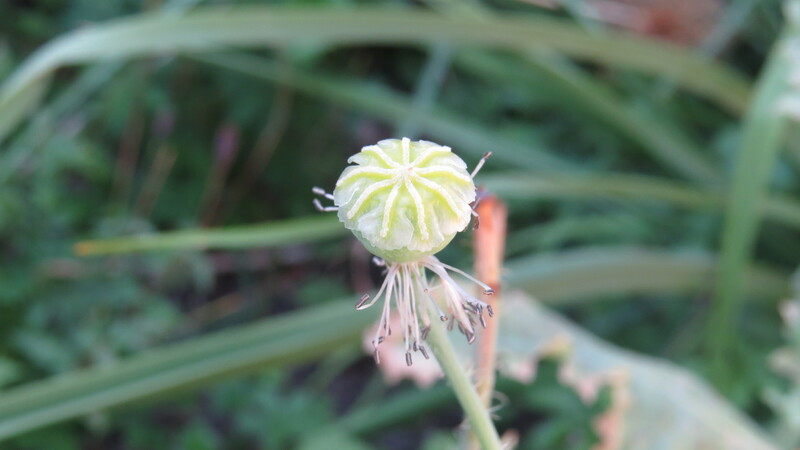 My old friends the opium poppy seedheads are growing fat. 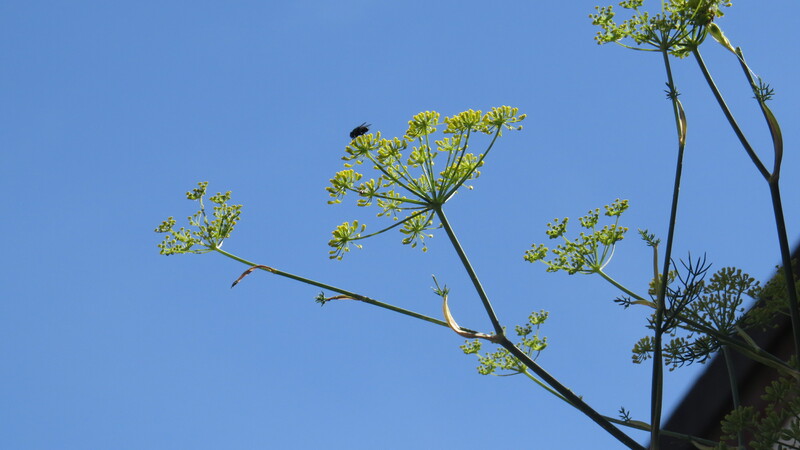 The Florence fennel is a huge draw for bees and hoverflies. 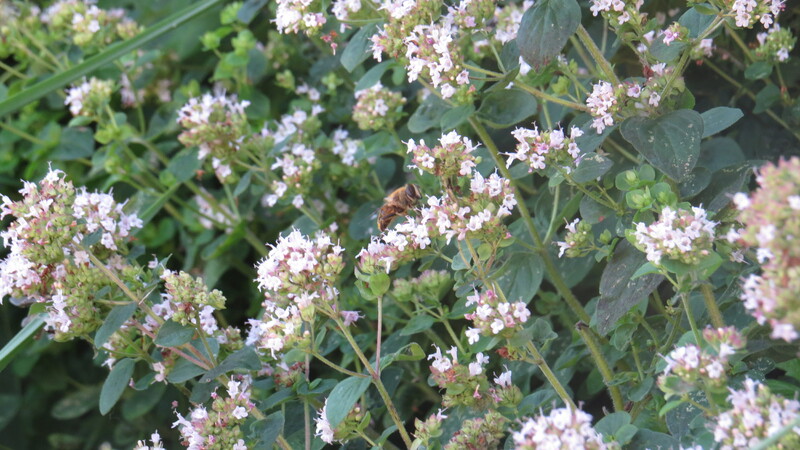 The marjoram is proving popular too. 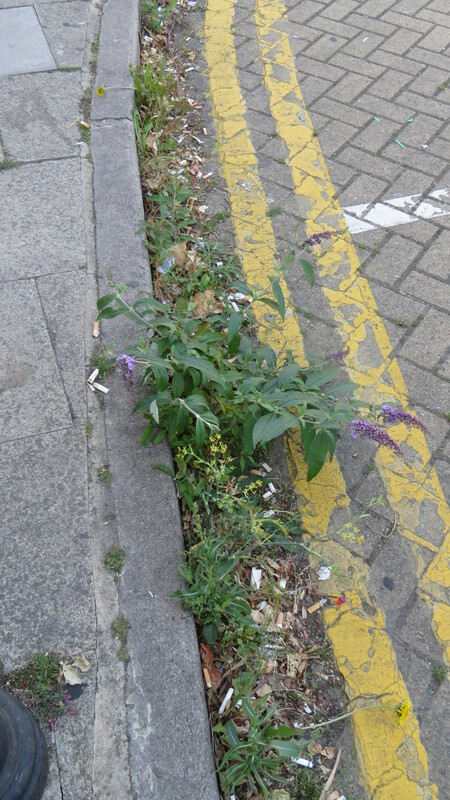 Furthermore, some of the plants are making a bid for freedom and are advancing along the gutter towards the coffee stand. And who can blame them? 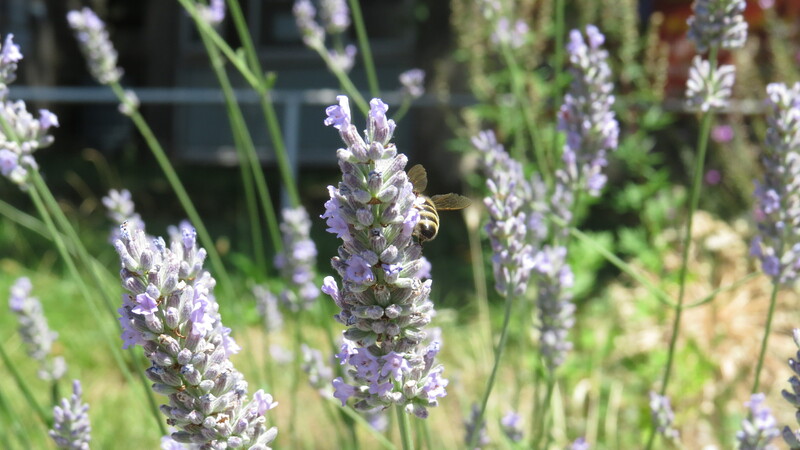 Across the road, outside the children’s nursery, the lavender is in full bloom, while the fine Victorian building that used to house the GLH taxi company now stands forlorn behind a plywood barricade, waiting for its imminent demolition. 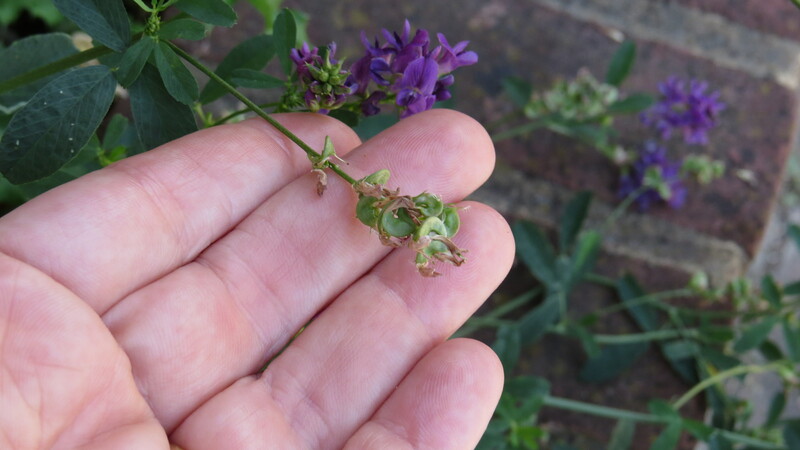 I wrote in the Wednesday Weed this week about my discovery of a patch of lucerne on Park Hall Road, but I am still amazed today. Where on earth did it come from? It certainly gave me lots to think about. But then, as I walk home, I look up and am for a moment extremely excited. 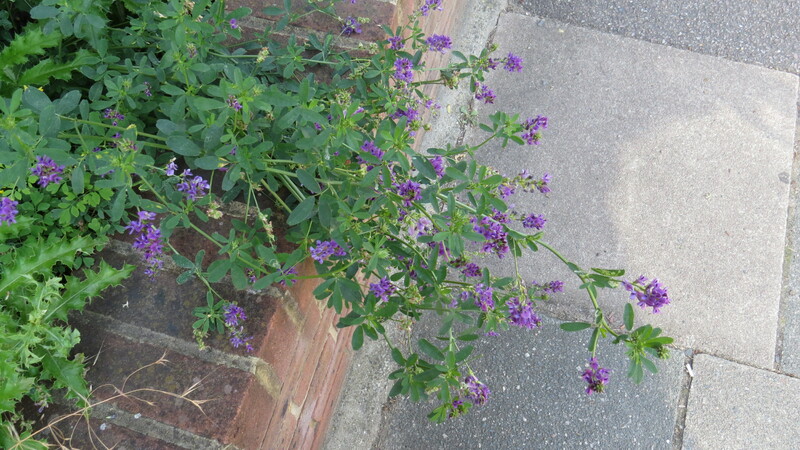 What on earth is this? 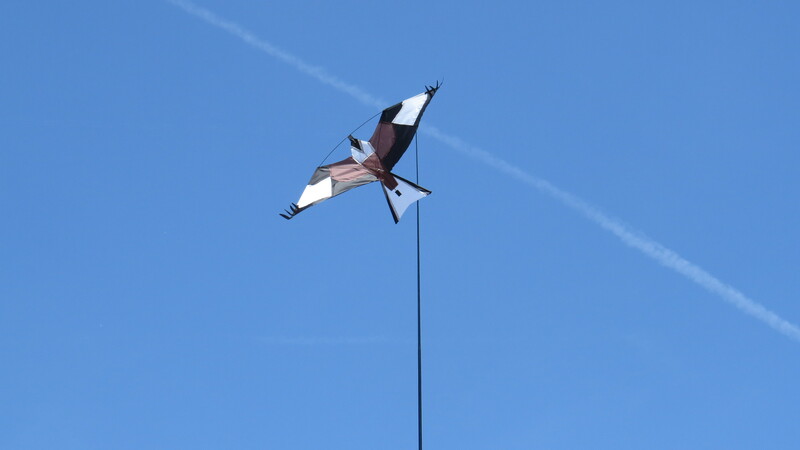 Well, I once saw a red kite drifting over Durham Road, but I have never seen a condor in East Finchley, and obviously I haven’t seen one this time either. I am a little puzzled though. 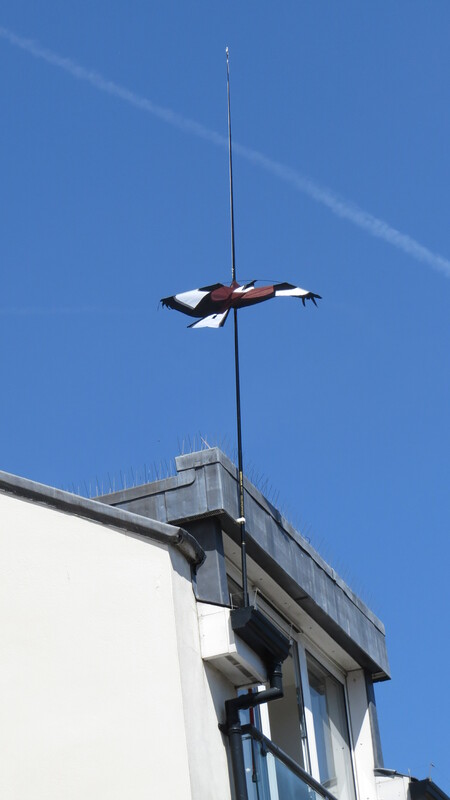 My guess is that the kite is to deter pigeons, although I would have thought that the four-inch pins around the edge of the roof would have been deterrent enough. Still, this is an imaginative and humane solution, and it seems to be working, as the pigeons are all still hanging out on the roof of the Bald-Faced Stag. I’m not sure whether this fine bird would provide a lightning rod in the event of a thunderstorm, so perhaps if there are any physicists out there someone could tell me. In the meantime, the bird soars on, perhaps dreaming of the Andes and surveying the streets for a defunct llama to eat. I would hate to be the one to tell him that the best he can hope for around here is some Kentucky Fried Chicken. This entry was posted in Uncategorized on July 22, 2017 by Bug Woman. 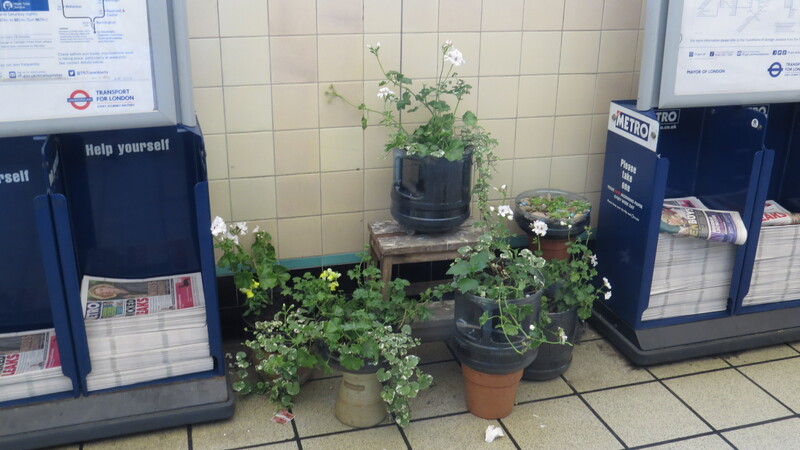 Lovely pots and ingenuity to be seen on the station. I had to smile when I read about the spikes keeping the pigeons off the rooftops as recently I notice a gull (particularly bothersome round here) resting happlily on the ridge tiles of a bungalow and using the spikes as a kind of backrest and while I was having a cup of tea in our conservatory I saw a pigeon (wood pigeon) sitting on the chimney pot against the spikes that are fixed round that too! Hope the cat was pleased to see you back and that you havenb’t had the rain we have had all day yesterday and today and so were able to get your post holidat washing done. 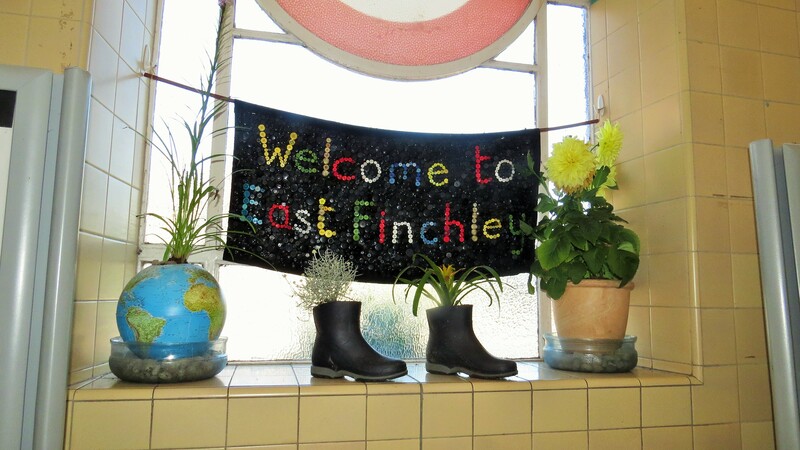 Well, you certainly got a rewarding welcome back from East Finchley! I think I’ll have to make a pilgrimage there, especially to the station, all the way from west London. Mind you I think a sunny day would be best. And I don’t know that my powers of observation would be as good as yours. I really enjoyed this post. The pictures are just great. 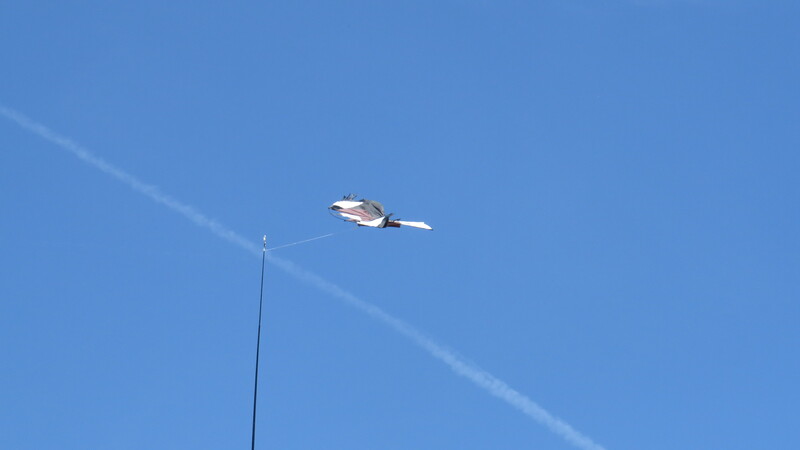 I have encountered several of those bird scaring kites in this area, they startle at first sight don’t they? 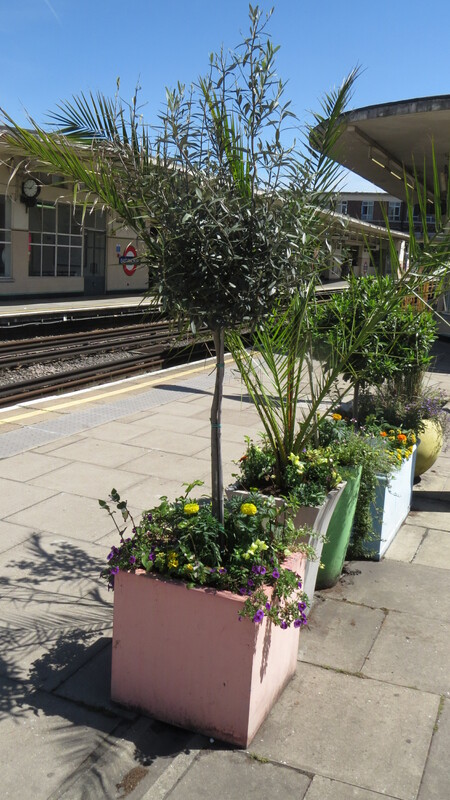 Your station is looking very floriferous.